In older people, a problem of sagging skin, wrinkles and joint pain is common. Sometimes, a person experiences these symptoms in his early adulthood stage as a sign of premature aging. What's the reason behind it? Reduced production of collagen! What is collagen? This question may strike your mind now! Collagen is the most important protein found in your skin, bones and muscles, and even in your teeth. A healthy production of collagen is responsible for keeping your skin elastic and replacing dead skin cells with the new healthy ones. Now, you may wonder what can happen if there is reduced production of collagen in your body? Although collagen creams are available in the market, it is far better to opt for Ayurvedic treatment for collagen production and include those foods in your diet plan that can help build collagen. Remember, not only your skin but every part of your body needs collagen support. Before we jump to collagen production herbal remedies, first we will discuss foods that can support collagen production. Gelatins, meat, fish, vegetables and low-fat dairy products and eggs are good sources of two important tissue building amino acids- proline and lysine that can even help build collagen in the body. What is so special about red and purple colored foods? Anthocyanidin! How it can be helpful? Well, anthocyanidin containing foods can provide protection from the damaging effects of free radicals and help prevent collagen destruction in the skin. Cherries, blueberries, raspberries, blackberries and strawberries are good examples of such fruits. Next in the list is orange-colored foods such as carrots and sweet potatoes! They are rich in vitamin A that can help regenerate damaged collagen by restoring it. How powerful orange-colored foods are! Niacin-rich foods such as brewer's yeast, beets, swordfish, tuna, sunflower seeds and salmon can help increase the production of collagen and prove beneficial for those who have dark spots on their skin. Wait! Are you vegetarian? If so, you may not want to consume meat, salmon or tuna! Don't worry; you can opt for collagen production herbal remedies as they are made with herbs and are pure vegetarian. How can vitamin C rich foods help? Well, they are packed with antioxidants that can help reduces the damage caused by free radicals responsible for aging while building and repairing tissues. Oranges, grapefruits, lemons, strawberries, tomatoes, peppers and broccoli are some of the good sources of vitamin C rich foods. Did you know that Sulfur has been called nature's "beauty mineral"? Now you may be wondering that how it can help enhance your beauty! Enough Sulfur in your body can help keep your complexion clear and youthful. Moreover, you will have healthy skin and smooth hair. Garlic, egg yolks, meat, poultry, fish, onions, brussels sprouts, broccoli, cabbage, asparagus, and kale are some of the great examples of sulfur-rich foods. Wait! There is one important point to keep in mind. Do not overcook foods as doing so can greatly reduce sulfur present in them. Consuming iron-rich foods such as meat, poultry, fish, spinach, kale, whole grains and nuts may also help boost your collagen levels. Eating more of copper-rich foods such as organ meats, dark leafy greens, dried legumes and nuts can also help boost collagen production in your body. Avocado oil is also known to significantly increase the collagen production. With such a wide variety of real foods available for natural collagen production, don't you want to consume them? Check out, whether your daily diet includes the above-described foods or not. If not, then it's time to re-create your diet plan and include them. After all, these foods can contribute in making your skin beautiful. Who doesn't want to get glowing and youthful skin forever? I guess, almost all of us! After foods, collagen production herbal remedies are next! Ayurveda uses nature's own creation and makes herbal formulations to promote your overall well-being in a very natural way. 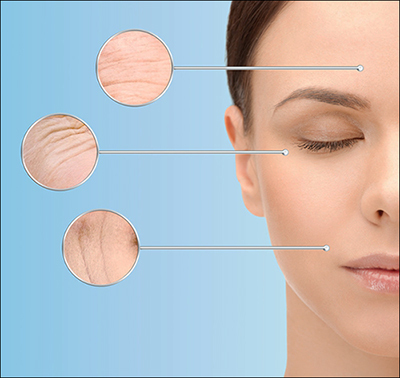 Now, you may be wondering if there is an Ayurvedic treatment for collagen production? If yes, is it safe or effective to use? Yes is an answer to both the questions! Ayurvedic formulations are the safe and natural solution to boost your collagen level as they are made with natural ingredients. Keep scrolling to know more about herbal remedies that can help in the healthy production of collagen. 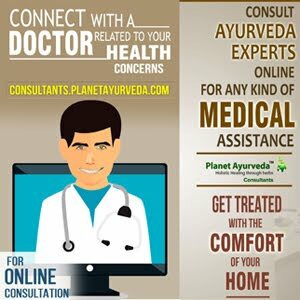 Planet Ayurveda is known to provide 100 % pure, vegetarian, safe and effective herbal supplements for various health issues. The house has an amazing collagen building pack that contains 5 extraordinary herbal supplements to support your collagen production in a natural way. Brahmi is definitely the Ayurveda's secret to boost collagen production. So, Brahmi capsules are prepared using standardized extract of Brahmi to effectively help in building collagen in your body. DOSE – 1-2 capsules, twice daily after meals with plain water. They are packed with pure extract of herb gotukola that can help deal with stretch marks or other signs of skin aging by increasing your collagen production. Also help to improve blood circulation. Another amazing Ayurvedic formulation designed specifically to support your hair, skin and nail health. A perfect herbal supplement to add shine to your beauty. They are packed with cleansing, tightening and nourishing properties that not only helps build collagen but strengthen your skin and protect it from the damage caused by free radicals as well. Bilberry fruit extract is used here for better results. No doubt, aging is a natural phenomenon and we can't stop this nature's continuous process. But you can manage the symptoms of premature aging such as wrinkles, sagging skin etc with an easy to apply, anti-aging serum, included in this pack and support your collagen health. How to Use – Wash your face and use 2 pumps of it, leave overnight! Don't you think this Ayurvedic treatment for collagen production is a better option to go for something natural and free from side effects rather than going for expensive collagen-rich artificial creams to support your collagen health? Go natural with Planet Ayurveda and experience the power of nature!